In the corner of “Carrera 53 con Calle 85”, a corner street located in one of Barranquilla, Colombia’s most upscale commercial neighborhoods, Cucayo effuses its distinctive physique into its surroundings. 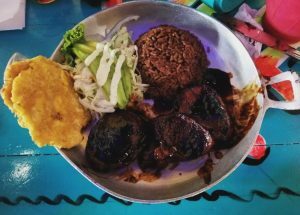 Made in honor of Barranquilla’s culture, this restaurant offers typical dishes from the Caribbean Coast of Colombia. 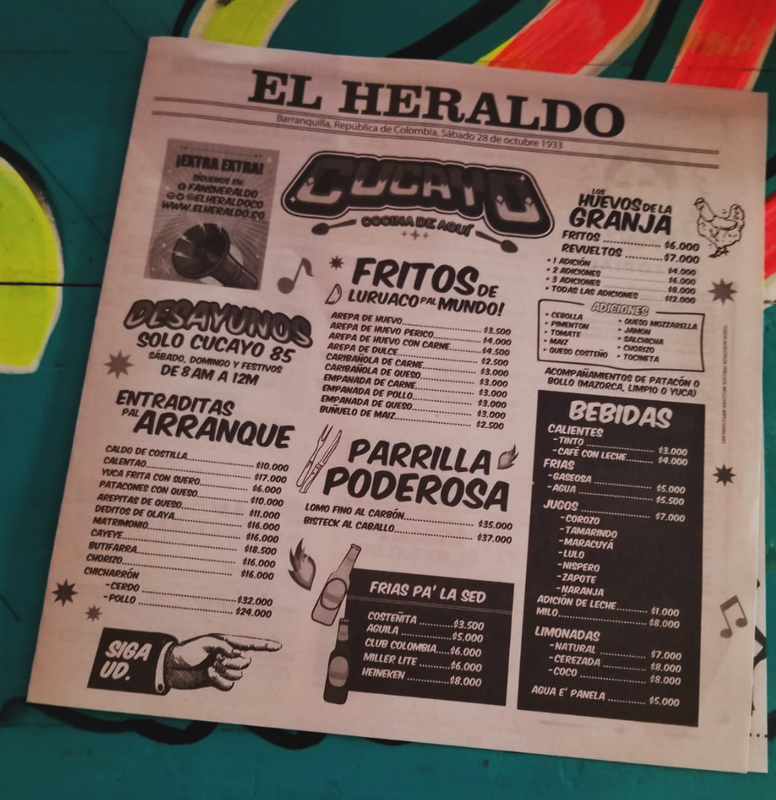 For a tourist looking to explore the flavors of Colombia’s golden-gate city, or just a local looking to enjoy a drink and a typical meal, this restaurant it the appropriate place to hit up! At first glance, a bull representative of the city staring down at those who enter the restaurant. 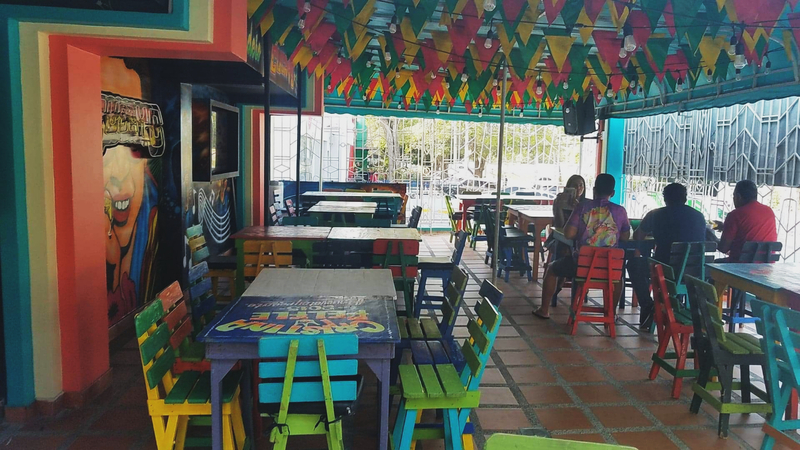 If you feel as if you would enjoy a quiet, tranquil lunch and a subtle view of locals’ routines, the outside seating section would be perfect for you. On the other hand, if you’re seeking to indulge in the city’s festive spirit, the seating sections offered inside the restaurant are much more. 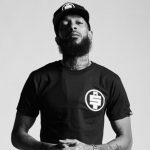 As you take in and admire the cultural phenomenon exhibited around you, a kind waiter/waitress with a bright yellow shirt on will walk you to the seating section of your convenience. Luis, a waiter at Cucayo thoroughly explains what each dish consisted of in order to ensure a good decision would be made on the customers’ behalf. Although he is a local in Barranquilla, he admits that sometimes, he is still taken away by the joy this culturally rich restaurant brings to the people who attend. 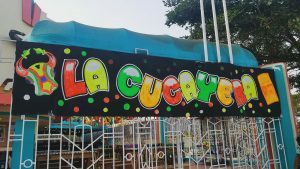 The food menu at Cucayo offers a fair amount of variety, ranging from boiled or fried combination platters to meats grilled to perfection. Among the most popular appetizers is Mondongo soup, typical to the Colombian Coast. And, if you’re a seafood lover, Cucayo has a section that will satisfy your cravings, offering seafood rice, seafood combinations, and of the most popular in dishes in the coast; Fried fish with plantains. The menu wouldn’t be complete if it didn’t live up to the restaurant’s name. That’s right! 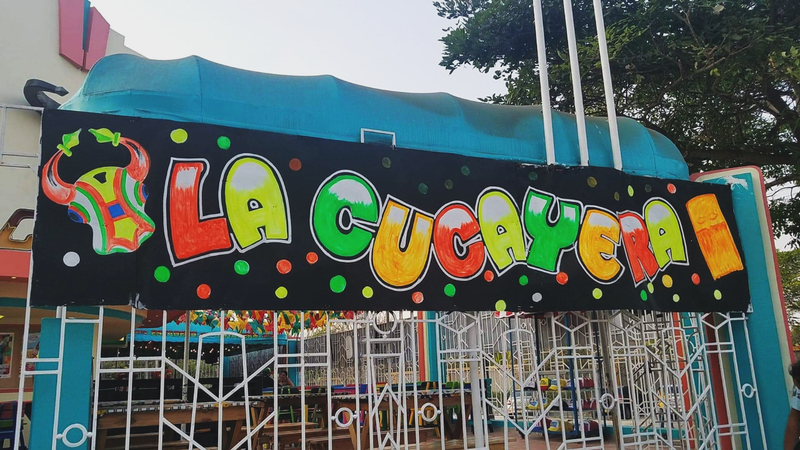 Cucacyo sells portions of “Cucayo”, the rice found on the bottom of a rice pot. Many people enjoy its crispy texture and almost burnt-like taste. The soft drink menu also offers a wide variety, offering sodas, natural juice, and even chocolate milk! 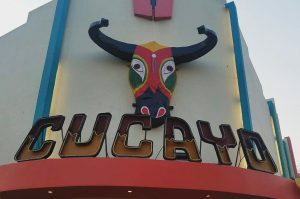 If you’re looking to enjoy a quick bite and a drink instead of devouring a whole meal, Cucayo’s generous bar can take care of your desire. As expected, among its most requested drinks is the Aguila beer, native to Colombia. However, it also offers its share of cocktails, including the screwdriver, Pina colada, and several other typical cocktails. The vibrant colors and exquisite decorations represent topics that are meaningful to the people of Barranquilla. 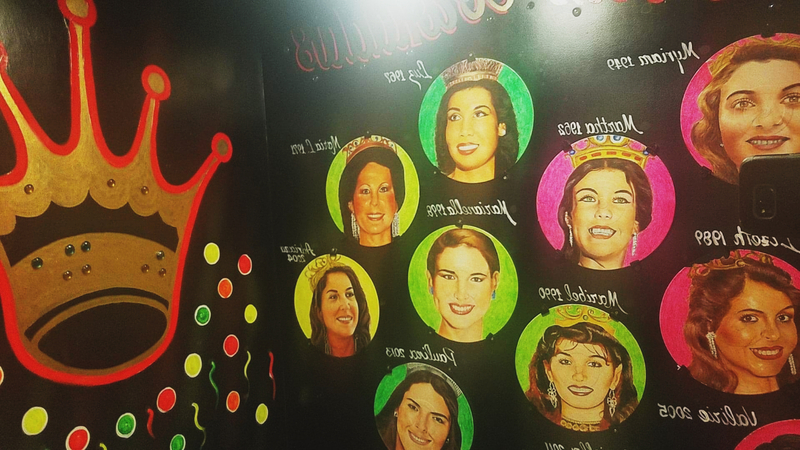 Among them is a mural with the face of every queen that’s ever been nominated for the city’s most popular event, the Carnival of Barranquilla. 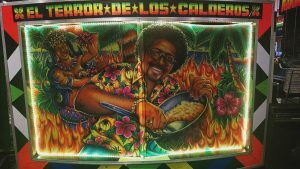 An imitation of a bus named “El No Joda” bus is also on display. 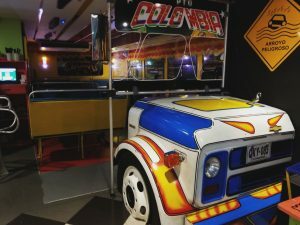 This iconic 16-yard bus ran a Barranquilla-Port of Colombia route nearly 20 years ago, named after a common express of surprise when locals would see it pass by. 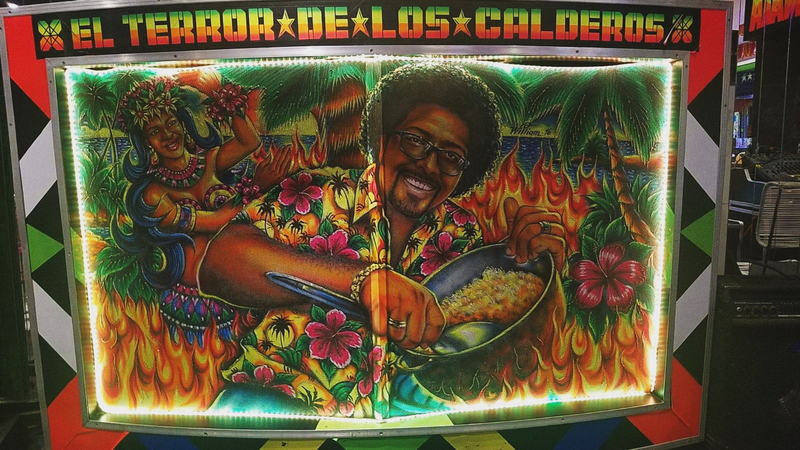 Proud ornamentations of Barranquilla’s soccer team, “El Junior”, carnival characters and many other local concepts that fill the hearts of Barranquilla also fill the walls of Cucayo. No words can do the originality of this place any justice. 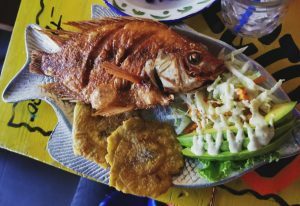 If you ever visit the Northern Colombian Coast, be sure to stop by and enjoy a delicious typical meal at Cucayo!